Eric Allan Dolphy (June 20, 1928 – June 29, 1964) was a jazz musician who played alto saxophone, flute and bass clarinet and was educated at Los Angeles City College. Dolphy was the first important bass clarinet soloist in jazz, and one of the first viable flute soloists in jazz. On early recordings, he occasionally played traditional B-flat clarinet. His unique and individual style utilized wide intervals, speech-like effects and exotic scales. Classical music played a large role in Dolphy's early training and remained important to him. Dolphy performed and recorded Edgard Varese's Density 21.5 for solo flute as well as other classical[ works, and participated heavily in third stream efforts. Dolphy's work is sometimes classified as free jazz, though he insisted that his compositions and solos were grounded in a thorough, if occasionally unorthodox, use of harmony. He is often compared to Ornette Coleman. In Europe / Volume 3. 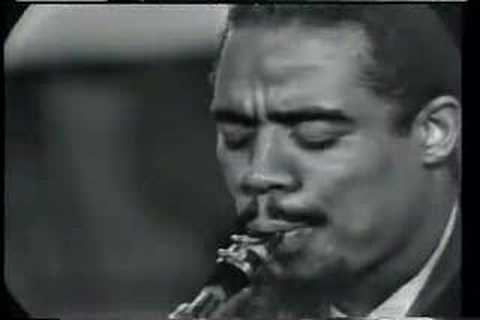 Eric Dolphy With Ron Carter ‎: Where? After Erik Dolphy’s unexpected early death in 1964, record companies began to scrape together various recordings of his and group them together as “new” albums, “essential” collections, best ofs and so on. “Status” is a two record collection that Prestige put out in 1977 that combines two previous Dolphy albums; “Erik Dolphy in Europe Vol 2” and “Here and There”. “Here and There” in itself is sort of a throw together affair with four recordings from four different Dolphy led groups. Oddly enough, one of the songs on “Here and There” is an alternate take on “Don‘t Blame Me” from the same concert that makes up “Dolphy in Europe Vol 2”. Needless to say, when Prestige put the two albums together you end up with two different versions of “Don‘t Blame Me” recorded on the same night with the alternate version from “Here and There’ being the much better recording. All of the songs on here are excellent with the incendiary “Status Seeking” with Mal Waldron and Booker Little, and the humorously bizarre “April Fool” with Jaki Byard taking top honors. On other cuts, Dolphy’s less famous European cohorts do a great job of hanging with Erik's high flight excursions, while wisely deciding not to try to emulate him. For Dolphy fans who prefer his alto sax playing, you get plenty of that on here, plus a good dose of flute and very little bass clarinet. Slap together albums like this usually have little appeal to collectors, so they can be had at a very reasonable price. Compare that to Dolphy’s original albums which cost a fortune by now. “Far Cry” is an often overlooked gem in the all too brief Eric Dolphy discography. 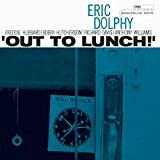 Eric’s fans tend go for his more outside work such as “Out to Lunch”, and although “Far Cry” may not be quite the visionary piece that “Lunch” is, there is still some great playing on here and a real unique take on jazz during the transitional early 60s. The music on “Far Cry” is not what you could call avant-garde, but its hardly business as usual either. Dolphy and his cohorts were all reaching for new things, and because of the time period, in ways that were unpredictable and naively fresh. In a few short years after this album’s release, the avant-garde itself would begin to establish its own predictable routines. The efforts to stretch jazz on “Far Cry” don’t have much to do with what will become known as ‘avant-garde’, but have more to do with five very unique musicians trying out new things in conversation with each other. It is an all-star cast on here; Byard and Haynes are the veterans who can handle anything from bop to free, Carter was one of the first bassists to adapt to the new freer drumming styles and Dolphy and Little were brilliant rising stars with Dolphy providing the connection to the new avant-garde world. The music on here reflects the diversity of the musicians; based in the difficult bop of Charlie Parker, but influenced by the abstractions of the new post bop mindset and driven by a fun recklessness taken from the new ‘free’ players. The end result is a music that would be hard to re-create as this era of naïve exploration has long since passed. There are plenty of virtuoso performances on here, but two particular standouts are Doplphy’s flute solo on “Left Alone” and his unaccompanied alto solo on “Tenderly”. The under-rated Booker Little also shines throughout, reminding us again how unfortunate his early passing was and how much potential he had. The four original compositions by Byard and Dolphy provide the best material on here, with Byard’s bizarrely arranged melody on “Miss Parker of K.C.” starting the album off with a real attention getter. Similar to other especially talented artists whose lives were cut short, Eric Dophy’s brief music career has been given a second life through the addition of countless compilations, re-packagings and similar collections. 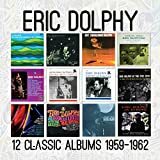 “The Essential Eric Dolphy” may be a good purchase for someone who owns nothing by Dolphy, and is seeking an introduction to his music, but to the long time fan, this collection is pretty much pointless. 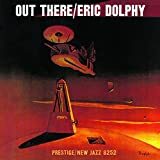 Most of the music on here comes from Dolphy’s first three albums, plus a couple cuts he recorded during that same time period with Oliver Nelson. This compilation does get good marks for showing a nice variety of music performed by Eric. The Nelson cuts are straight ahead hard bop with Dolphy getting characteristically wacky during his solo rides, while the cuts from his own albums show Dolphy playing hard swinging modernist abstract post bop, as well as some odd quirky chamber music. Although many of the cuts on here were composed by Dolphy, the cuts composed by Jaki Byard and Mal Waldron fit perfectly with Dolphy’s style. Byard in particular seems to be a perfect accompanist for Eric with his humorous and petulant piano style that falls somewhere between T Monk and Sun Ra. 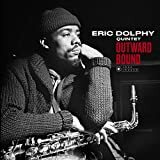 Drummer Roy Haynes and bassist Ron Carter also show up on many cuts and likewise show a great affinity for Dolphy’s musical vision. As mentioned earlier, this CD does work well as an introduction to Dolphy's music and many of these tracks are excellent, but to the long time fan, the Nelson cuts probably seem a little out of place and the whole sequence of songs is a little clumsy, besides, most fans already have these songs. Since this CD does not contain any tracks from Erik's brilliant final albums, you could hardly call this collection "essential" or complete. 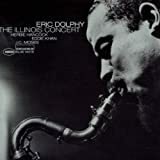 There are three distinctly different Eric Dolphys; Eric the flautist, Eric on the bass clarinet, and high flying Eric Dolphy on the alto saxophone. 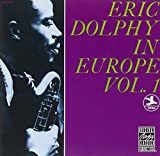 Dolphy’s flute playing is superb, but its his alto playing that impresses the most and that’s what you get plenty of on “Eric Dolphy in Europe Volume 2“, some of the most virtuoso excursions on the alto sax you have ever heard. You also get some excellent flute playing, and for those who don’t dig his clarinet tone, no clarinet at all. The music on here is not as avant-garde as some of Dolphy’s original creations, mostly the backing band sticks to the changes of the hard bop tunes, but Dolphy’s flights take those changes to some very faraway places. The original album contains three tunes with Dolphy on alto, plus “Don’t Blame Me”, which features a lengthy workout on the flute. The CD re-issue contains an extra version of “Blame”, oddly enough recorded that same night, which is nice because his flute comes out stronger and clearer on that version. All three of the alto tunes are great, with a blistering version of "The Way You Look Tonight" being one of the best. Dolphy’s backing band is brave enough to hang with him, but also smart enough not to try to emulate him. Pianist Bent Axen turns in tough punchy bluesy solos, and wisely gets out of the way when Eric really takes off. I can’t say enough good things about what Dolphy can do to a set of changes with an alto sax. Although there have been others who have expanded on the high speed melodic ideas of Charlie Parker, to me no one has done it on quite the same level that Dolphy has. I know there are those who would disagree, but listen to these tracks and decide for yourself. 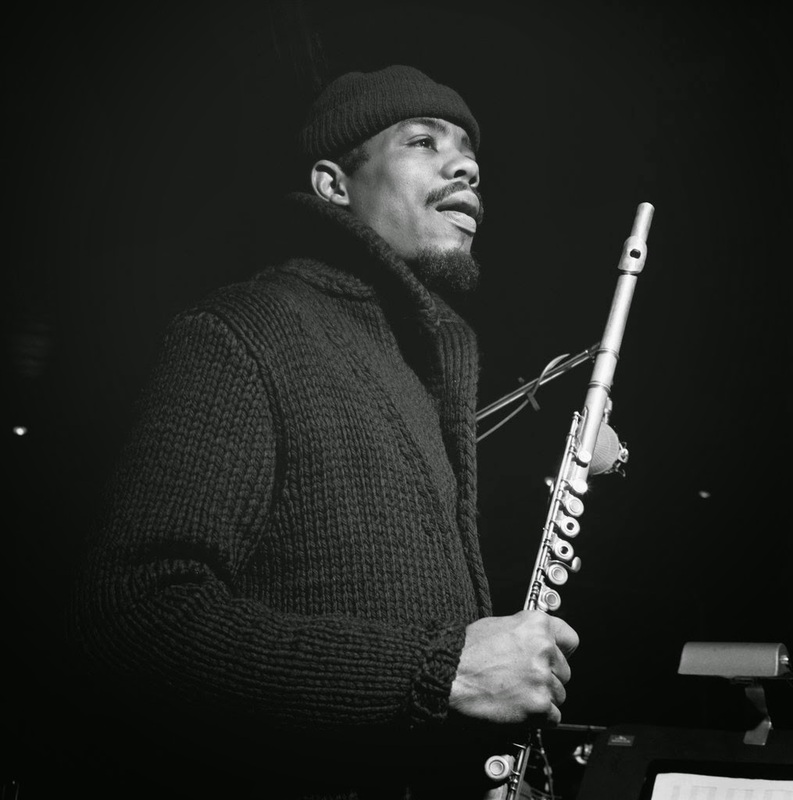 “Here and There” is a collection of live cuts by Eric Dolphy, recorded in the early 60s when he was really blowing up the scene, but not released until 1966, after his untimely passing. Although criticized for being a grab bag collection, the music on “Here” speaks for itself, Dolphy is in excellent form on every cut. Actually the eclectic mixture of bands is not so bad either, as we get to hear how the different groups interact with Eric’s trailblazing approach. Side one opens with the best, Mal Waldron leading a furious hard bop rave up (“Status Seeking”) with an intense avant-garde opening melody, this one is tailor made for Dolphy and he tears it up. Waldron follows Dolphy’s opening flight with an earthy blues drenched solo on the piano. Side one closes with Dolphy playing “God Bless the Child” by himself on the bass clarinet. He takes a pleasant low key approach to this one, just playing the melody, which he backs with interesting Phillip Glass type repeating figures, sounding like the minimalist composer almost two decades before the formal arrival of “minimalism“. Side two opens with Eric playing “Don’t Blame Me” on flute while backed by a European trio. 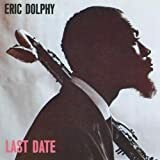 Dolphy’s flute playing is always elegant, almost classical, and the trio responds with a fairly straight ahead reading of the tune while Eric unwinds a lengthy virtuoso swinging solo. Side two closes with “April Fool”, a very odd little bluesy number that has Dolphy playing the beatnik pied piper on flute while Jackie Byard backs him with weird vague dronish chords. Roy Haynes and George Tucker supply the straight faced rhythm for this characteristic Dolphy oddity. All the tunes on here are good, but it’s the first one and the final one that make this a must have for Dolphy fans. No ERIC DOLPHY movie reviews posted yet.